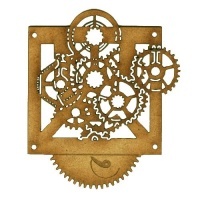 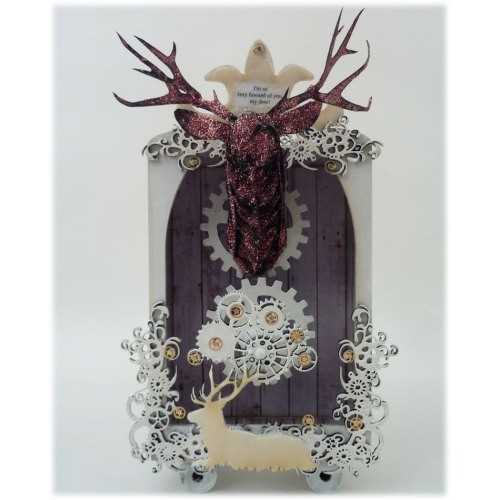 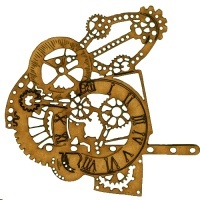 Steampunk style clockworks motif features an engraved clock face with Roman numerals, surrounded by cogs, gears, springs and assorted clock parts. 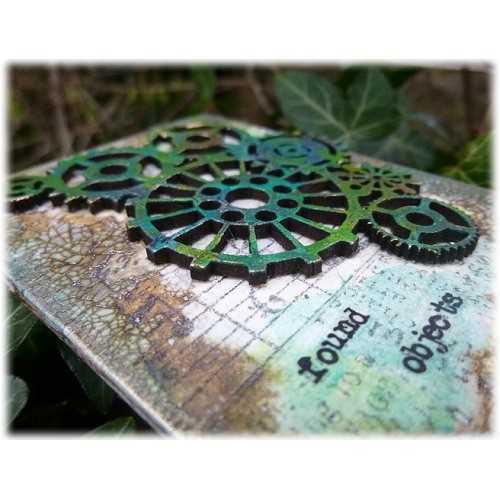 This design comes with engraved and intricate cut out detailing and can be used vertically or horizontally. 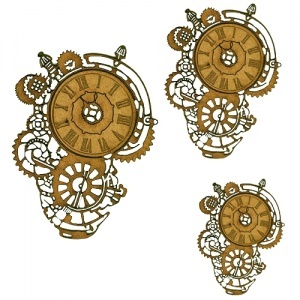 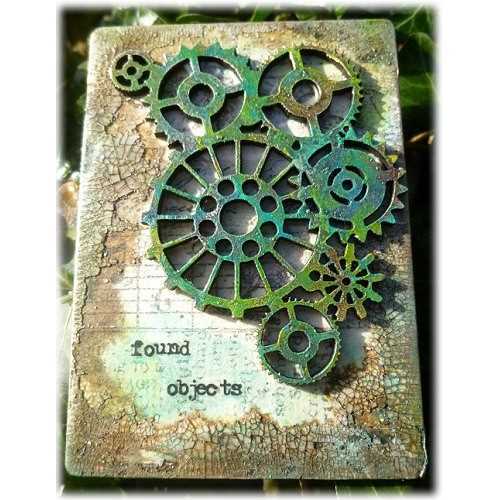 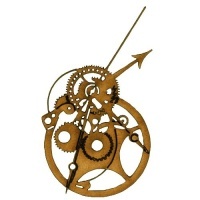 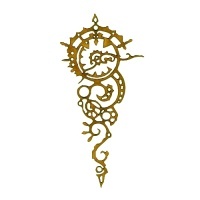 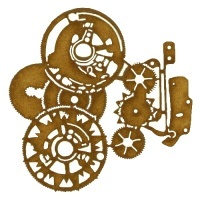 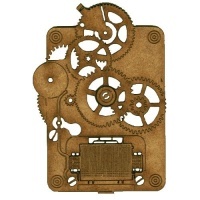 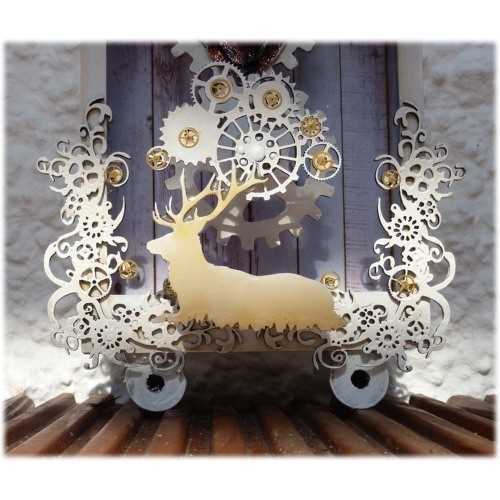 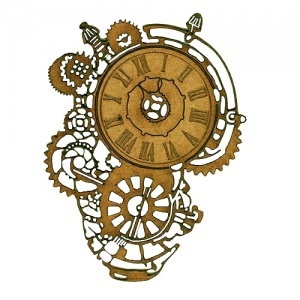 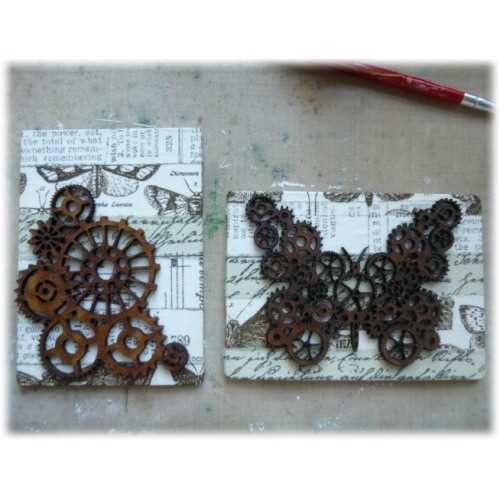 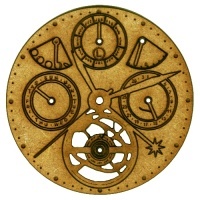 Laser cut from 2mm MDF, this steampunk wood shape is available in 3 sizes - select your choice from the options above. 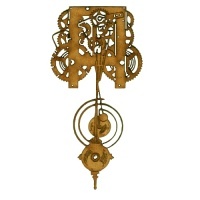 This product is not available in our standard small size (60mm) due to design constraints.